You can use AFerry to book a Brittany ferry to France, Ireland, Spain, and England. Brittany Ferries is the leading ferry company on the western and central channel and operates one of the most modern fleets on the channel. AFerry always has cheap prices for Brittany Ferries and the latest special offers. 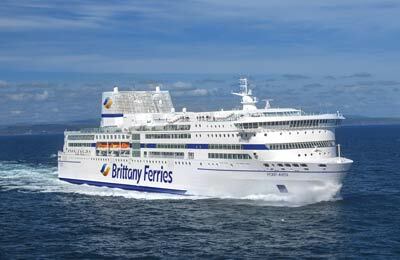 You can use AFerry to book Brittany ferries to Cork, Cherbourg, Caen, Santander, Bilbao and others. See below for the latest Brittany Ferries prices and sailing times. Click on your ferry route for a detailed timetable. When do they sail? Until March. Note that you can see all currently available Brittany Ferries sailings on the Ferry Times & Sailing Information board. On board facilities include comfortable lounge areas, internet access and a wide range of bars and restaurants. You will also find cinemas, children's entertainment and disco clubs onboard some vessels. All this means you will never be bored aboard a Brittany Ferries ferry! Brittany Ferries operate a fleet of luxurious ferries including conventional ferries and high speed vessels. Brittany Ferries latest addition to the fleet, the mv Cap Finistère, entered into service in March 2010. This new modern high speed vessel will operate on the Portsmouth to Santander and Portsmouth to Cherbourg routes. How long before departure should I arrive for Brittany Ferries? Check-in is at least 45 minutes prior to departure for passengers. However, for passengers with special needs we suggest checking in at least 60 minutes prior to departure. You can book your dog or cat online Brittany Ferries' ferries to and from France. Just choose your route and then select the number of cats or dogs you are sailing with. On the Pont-Aven and the Bretagne there are exercise areas for pets. On the Pont-Aven , this is a large open-air area. On these ships, there are set times to visit pets which are announced. Ask on-board for times. On other ships, please ask at information to organise pet visits. 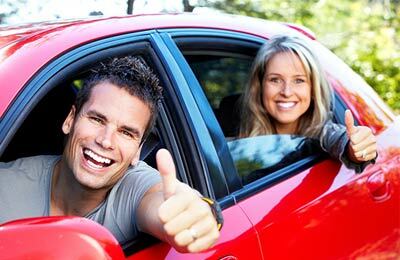 You can't visit your pets in the garage on high speed services unless there are exceptional circumstances. Note that to take your pet from the UK to France, you will need a pet passport. To find out more about pet passports and travelling with your pet see our our pet travel guide.